Why do you have a business blog? Chances are that the reasons go beyond simply increasing brand awareness and optimizing your website for search engines. Especially if you subscribe to the inbound marketing philosophy, your blog is a crucial conversion driver for new leads. Regardless of whether your business focuses on the Sydney area or targets a wider area within Australia, successful lead generation can maximize marketing success and customer growth. To get to that point, however, each post within your blog has to be built with conversion optimization in mind. Rather than simply writing about the newest topics and trends in your industry, your goal should be to give your readers a reason to go beyond the post and become a lead. To accomplish that goal, below are 5 blogging tips you can implement today to increase your lead conversions. You should ensure you are optimising your blogs correctly as well. 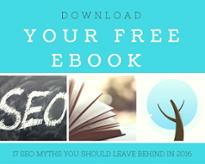 For more info on this, download our SEO eBook: "17 SEO myths you should leave behind"
Keep it Short. Headlines between 8 and 12 words tend to get the highest average shares and click-throughs. Reference Visuals. Blog titles with [Infographic] in the title, for instance, let your potential readers know exactly what to expect. Avoid Negative Wording. Even these phrases are placed within the right context, negative wording subconsciously discourages your audience from reading the blog post. Focus on Numbered Lists. List-based posts are shared more than any other type of blog on social media. They stimulate an area of readers' brains that makes them particularly interested in reading further. 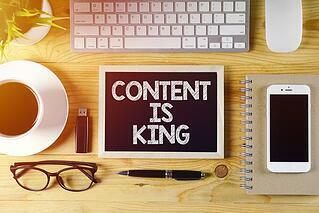 These and other tips can be your first step toward optimizing blog posts for readership. To test the strength of your headlines, try a tool like CoSchedule's Headline Analyzer. Of course, even the greatest headlines will mean little for conversions if the content that follows doesn't deliver on the promise your title made. To optimize your business blog for conversions, consistency is absolute key. To accomplish that feat, be sure that your entire blog is focused on the claim and promise your headline makes. This post is designed to help you build a better business blog; any information beyond that should probably go into a different article. The reason consistency is so important is a psychological concept called cognitive dissonance. Our brains strive for consistency; anytime we don't accomplish it, the source of the material immediately loses credibility. Subconsciously, a blog post that makes a bold claim but doesn't deliver won't just hurt conversions for this article, but for your brand as a whole. The lesson is simple: keep each post consistent within itself. If your blog post is designed to help property investors in Sydney make better buying choices, that should be the sole focus of the entire article. Similarly, an educational organization looking to reach Australian parents needs to make sure its blog consists of content specifically aimed at helping that audience. The previous paragraph also hints at another principle that is crucial for your conversions: the importance of value over promotion. You have your entire website to sell your audience on your services. Your blog, on the other hand, needs to be a vehicle that establishes credibility and communicates actual value to its readers. Think about it: what type of web content do you typically like to read? The blogs you frequent probably have more to do with Australia-specific insights into your industry than salespeople pitching their products. You won't sign up to a technology software provider simply to get a sales pitch; instead, you sign up because you want to learn more about the ways in which this type of software can actually help your IT operations. Perhaps not surprisingly, the same is true for your readers. To get conversions, make sure that your blog content includes actual, tangible value and insights. The best strategy might be to give readers a hint of more value, which they can get by signing up to become a lead. Sometimes, an increased amount of choices can actually lead to more inaction. That's the principle behind Attention Ratio, a concept first published by the conversion experts at Unbounce that applies to blog posts as well as landing pages. Defined as "the ratio of links on a landing page to the number of campaign conversion goals," its goal is to keep the focus of your readership singular. That means including a single call to action for a lead-generating form at the bottom of your blog post, which ideally relates closely to the content of the post itself. For instance, you might publish a post about finding the right doctor for your needs. In that case, the call to action can lead to a more in-depth description about the various types of doctor classifications in your field, gated behind a sign up field. With the click of a button and just a bit of their information, your audience gets a more in-depth idea on how to evaluate doctors, following the same goal that led them into your blog post to begin with. Finally, don't underestimate the potential value of blog subscribers as leads for your company. Sure, these subscribers typically leave little more than their email address in order to get your newest articles, but you can use that email address for some top-of-the-funnel emails that eventually turn them into full-fledged leads. To encourage subscribers, you have to dangle a future carrot. The best way to do that is to start a blog series, in which you regularly share content related to the same overarching topic. The result might be a weekly industry roundup, or a monthly series of tips and case studies on how organizations in the educational sector can better reach parents and students. By giving your audience something to look forward to, you will find that more readers subscribe in order to catch the newest post in the series as soon as it gets published. The result is a natural increase in lead conversions from your blog. Ultimately, every piece of your content marketing should look to achieve a goal that is directly related to business growth. For your blog, that goal likely centers around establishing credibility and increasing your lead conversions. Using the above tips, you can accomplish both, building a database of leads that you can nurture toward becoming customers over time.